Game Design Red Menace Oui, Chef! 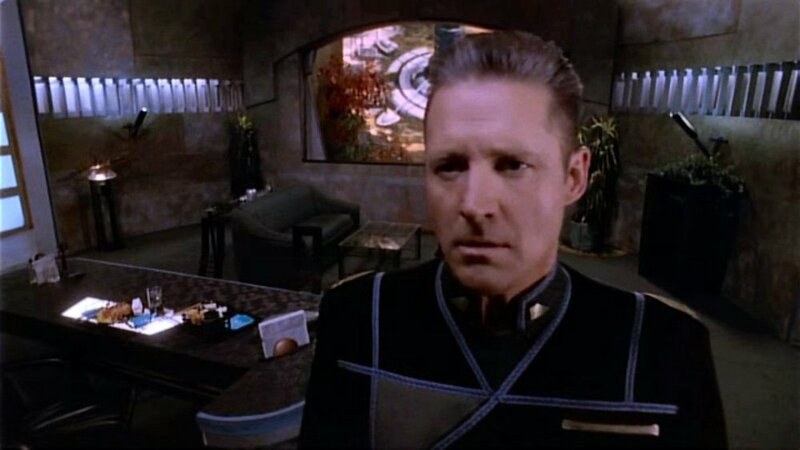 Synopsis: In which an ISN reporter comes to the station to film what he totally pinkie swears will not be an anti-Babylon 5 propaganda hit piece, and Sheridan falls for it again. The “Equality vs Equity” image. 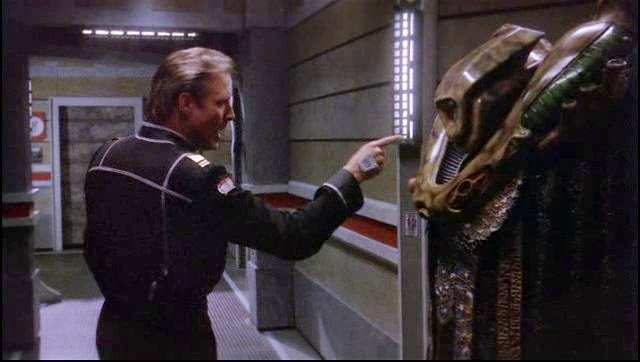 Synopsis: In which Bester reveals President Clark’s renewed interest in shutting down Babylon 5, and Mr Garibaldi calls it quits. Synopsis: In which Londo makes the right decision for once, and exeunt the First Ones, stage left. Do I really need to link to any of the Marvel movies here, people? I didn’t think so. Zeta 2 Reticuli was, of course, identified by Betty Hill as the home star system of the classic grey aliens that abducted her and her husband in 1961. Synopsis: In which Sheridan lays a trap and the reign of Emperor Cartagia comes to an abrupt end. [Name], by the Grace of God and the will of the Nation, King of Italy, King of Sardinia, Cyprus, Jerusalem, Armenia, Duke of Savoy, count of Maurienne, Marquis (of the Holy Roman Empire) in Italy; Prince of Piedmont, Carignano, Oneglia, Poirino, Trino; Prince and Perpetual Vicar of the Holy Roman Empire; Prince of Carmagnola, Montmellian with Arbin and Francin, Prince bailiff of the Duchy of Aosta, Prince of Chieri, Dronero, Crescentino, Riva di Chieri and Banna, Busca, Bene, Bra, Duke of Genoa, Monferrat, Aosta, Duke of Chablais, Genevois, Duke of Piacenza, Marquis of Saluzzo (Saluces), Ivrea, Susa, of Maro, Oristano, Cesana, Savona, Tarantasia, Borgomanero and Cureggio, Caselle, Rivoli, Pianezza, Govone, Salussola, Racconigi over Tegerone, Migliabruna and Motturone, Cavallermaggiore, Marene, Modane and Lanslebourg, Livorno Ferraris, Santhià, Agliè, Centallo and Demonte, Desana, Ghemme, Vigone, Count of Barge, Villafranca, Ginevra, Nizza, Tenda, Romont, Asti, Alessandria, of Goceano, Novara, Tortona, Bobbio, Soissons, Sant'Antioco, Pollenzo, Roccabruna, Tricerro, Bairo, Ozegna, delle Apertole, Baron of Vaud and of Faucigni, Lord of Vercelli, Pinerolo, of Lomellina, of Valle Sesia, of the Marquisate of Ceva, Overlord of Monaco, Roccabruna and eleven-twelfths of Menton, Noble Patrician of Venice, Patrician of Ferrara. Synopsis: In which Londo begins to enact his desperate plan, and the time has come to say farewell to the new Kosh. Warning: eye-related body horror right up top. Of course, nobody ever reads these notes so hope you enjoyed that folks! Synopsis: In which the Vorlons strike back, G’kar endures, and there are many happy returns. Room 101/Two Minutes Hate/Goldstein! Goldstein! Goldstein! - a very 1984-heavy episode this week (the book and film, not the sub-par Van Halen album). Warning: Trek digression starting about 12 minutes in. Mostly slagging on TNG interior design and costuming nightmares. Max the Cat appears briefly in the background at about 20 min. Whatever Happened To Mr Garibaldi? Synopsis: In which G’Kar falls into the hands of the Centauri and Captain Sheridan lingers between life and death. Synopsis: In which everyone must come to terms with the loss of Captain Sheridan, and Londo is recalled to the Centauri Imperial court. February 2015 in New England. Thankfully we don’t have anything like that this year. Synopsis: In which Captain Sheridan goes to Z’ha’dum. In which Dr Franklin’s walkabout comes to an abrupt end and a major battle is fought against the Shadow fleet. Does not include voice actors from animated features or Maggie Baird, who played Selena in the Birds of Prey tv series YES I WENT THERE! Synopsis: In which Sheridan and Delenn analyze the patterns behind the Shadows’ attacks and Londo moves against an enemy to gain power in the Centauri court. Necross the (Ha Ha Ha) Mad - I had to dig into my comics collection and take a pic of this page, it’s such a deep cut I couldn’t even find it on the internet anywhere. The doctor from “The Cage” was Dr. Boyce http://memory-alpha.wikia.com/wiki/Philip_Boyce The actor, John Hoyt, was in the film “The Conqueror,” in which John Wayne plays Genghis Khan (woof! Not even going there!). Ninety of the film’s 200 cast/crew members contracted cancer afterward. And we thought B5 was cursed! Synopsis: In which Garibaldi hunts down a mystery, and Delenn faces a challenge to her leadership of the Rangers. 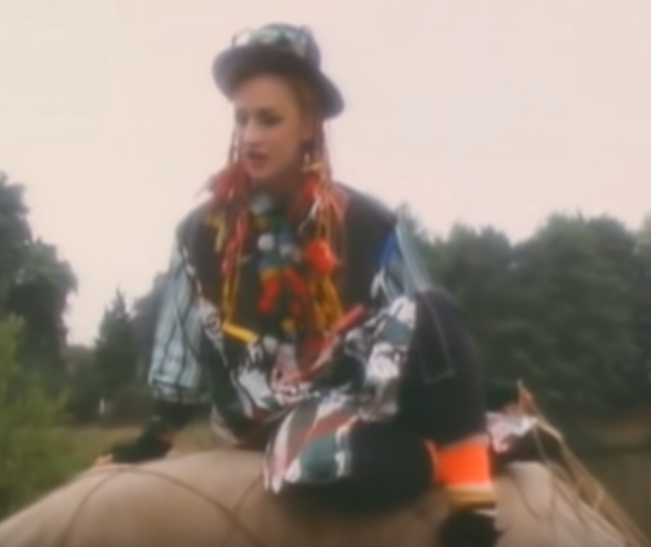 1990s Doomsday cults? I’m stayin’! Max the Cat shows up at about 13:30. 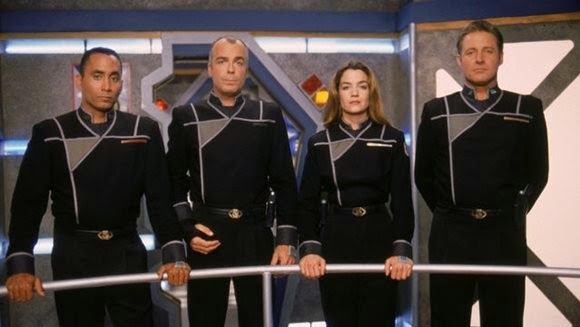 Synopsis: In which Jeffrey Sinclair returns and the fate of Babylon 4 is revealed. Summaries of JMS’s intended original plan, where we can see what the show might have looked like had Michael O’Hare stuck around and get Sinclair all the way through, including the spin-off show Babylon Prime. Interesting stuff here, but lots of spoilers if this is your first time through the show. Bringing B4 forward to be the new station in the spinoff is similar to what Jon has discussed with a sequel show to B5, set 1000 years down the road. Max the Cat makes a brief appearance at about 10:45. I know you’ve all been wondering what was up with him. Seriously, you do not want to get Chris started on the history of the Legion of Super Heroes, particularly in the post-Crisis/pre-Zero Hour era. Star Trek: Discovery’s “Calypso” https://io9.gizmodo.com/short-treks-dives-far-into-the-future-of-star-trek-with-1830339940 Chris is probably wrong here, I can’t find any evidence that Aldis Hodge’s character is actually joining the regular show, sadly. Synopsis: Dr. Franklin tries to find himself, Sheridan tests the Shadows’ weakness, and we meet the new Kosh. He seems to have been primarily a producer (and an Associate to Producer on B5) more than an actor/puppeteer, which makes the subtlety of his performance even more noteworthy. Let the record show that I (Chris) did not buy into a new miniatures game while in California. Three cheers for John Mundy! JMS apparently does have a text on Foundationism. I’d love to get a look at that. Synopsis: In which Captain Sheridan convinces Kosh to take a more active role in the war, and Mr Morden returns. “The Back Nine” is a golf reference. Somehow I (Chris) always thought it was referring to the last nine acres of farmland you had left to plow. See the things you learn listening to podcasts, kids? Synopsis: In which Bester seeks Sheridan’s help in stopping the Shadows and G’Kar is brought into the conspiracy. "Henry Gale" from Lost - his real name was Ben Linus (portrayed by Michael Emerson https://www.imdb.com/name/nm0256237/?ref_=nv_sr_1) Good lord I hated him. "Brain, brain, what is brain?" Jon dropped some Spock's Brain on us and I didn't catch it. Not sure who is the more shameful in this situation. Synopsis: In which Vir meets his bride-to-be and we learn more about what he has been doing in his spare time. Note: This episode was intended to go after “Sic Transit Vir,” which we will examine next week. There are a lot of Monty Python and the Holy Grail references here, I’m not going to link them all. Same for the references to Arthurian lore and historical study. Do not get Chris started on stirrups in the movie Gladiator. The postal worker was portrayed by Michael Fagan. I was confused because he’s listed with a name in the credits, “Emmet Farquaha,” but I don’t think the name was ever spoken in the episode. Attentive listeners may recall that the film Apollo 13 was beat out for a Hugo award in 1996 by the Babylon 5 season 2 episode “The Coming of Shadows.” JMS was certainly aware of the film. Synopsis: In which the dust settles from the past few episodes and everyone gets spiffy new uniforms! An aside, but Gil Gerard (Buck) and Felix Silla (Twiki) are still friends and hang out. That feels nice. And in conclusion YOGA PANTS ARE NOT PANTS. Come at me, haters!